Our pads contain shock absorbent EPE foam that will keep kids safe even when they happen to land on it. This closed-cell foam is also designed to keep out water and mildew. The safety pads will never lose their shape or wear out like average, run-of-the-mill ones will. We go over and above industry standards when it comes to our trampoline safety pads. If you have any questions about this product by Super Jumper, contact us by completing and submitting the form below. If you are looking for a specif part number, please include it with your message. 13' NEW DELUXE GREEN VINYL TRAMPOLINE PAD - $99 VALUE!!! 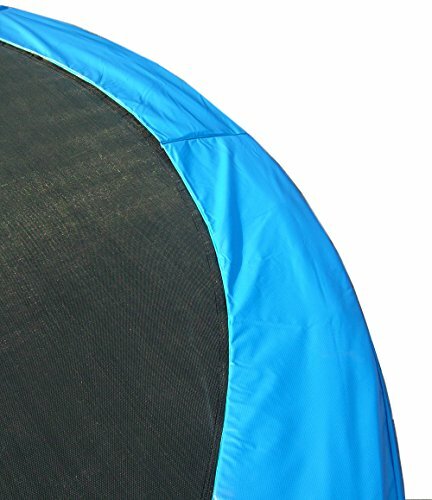 13' NEW DELUXE BLUE VINYL TRAMPOLINE PAD - $99 VALUE!! !